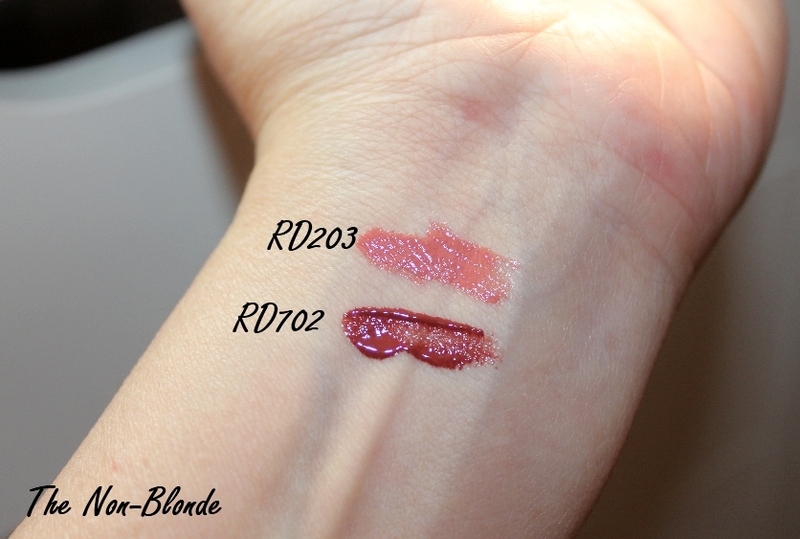 Here are the last two Shiseido Lacquer Rouge I got, RD203 Portrait and RD702 Savage. Both have the same formula I've come to know and love from my other Lacquer Rouge lipsticks, the same glossy finish and intense coverage. 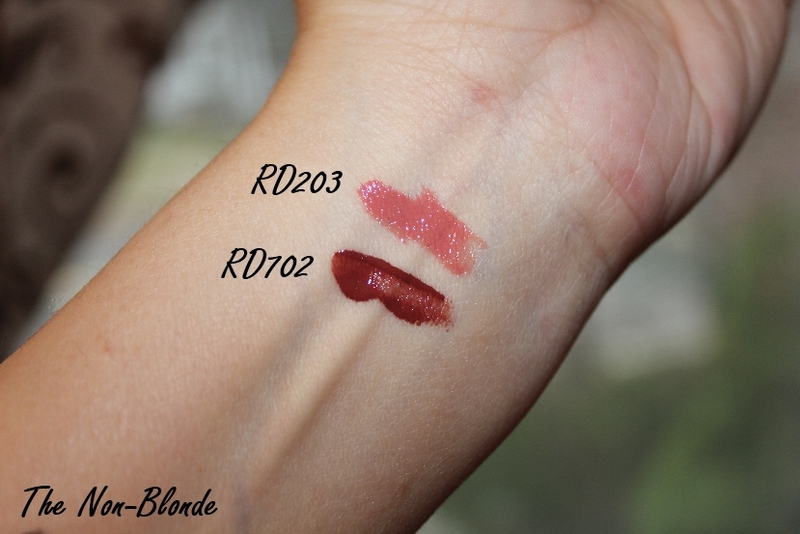 It works well for RD702, the rich burgundy shade (a true favorite that sees a lot of use), but I admit that Portrait (RD203) was a mistake and I should have chosen Shiseido RD607 (Nocturne) instead. 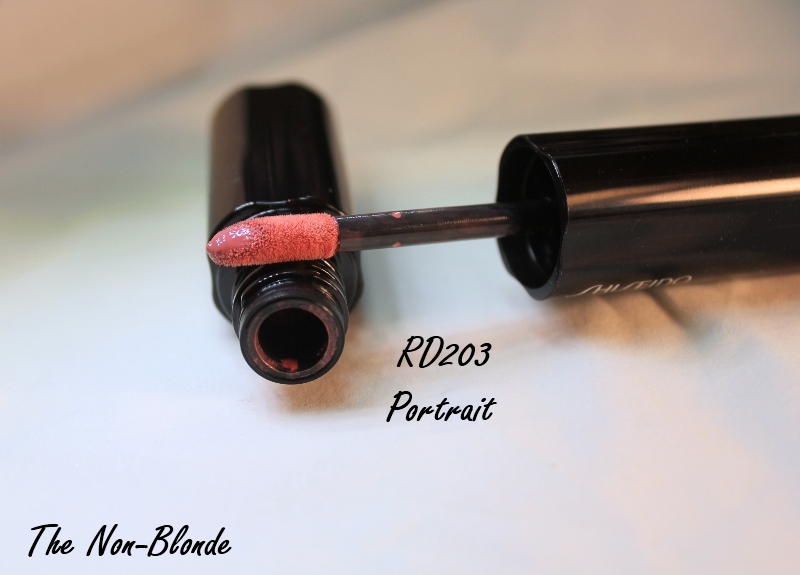 RD203 is a very pretty warm pink, but it's a couple of shades too light (and too pink) for me to wear by itself. I've put it to good use as a base for dark glosses and mixed with other colors, so nothing is wasted, but still, I could live without this one. 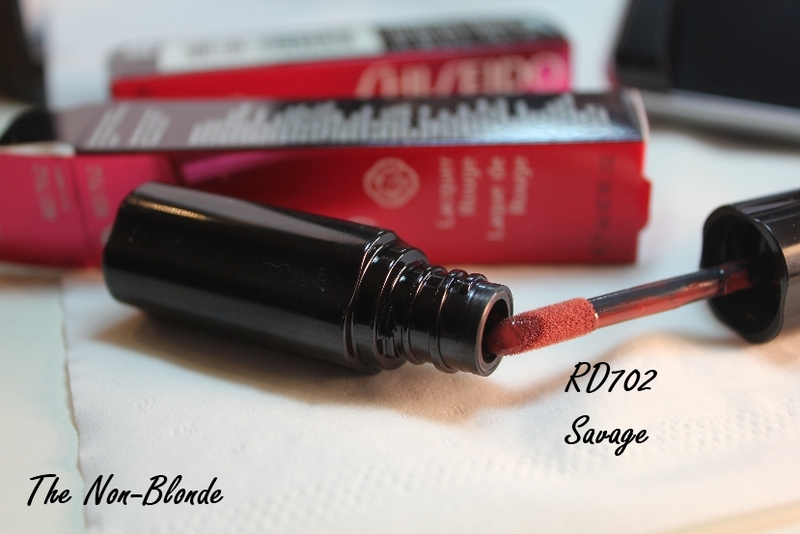 Shiseido Lacquer Rouge RD203 Portrait & RD702 Savage ($25 each) are available at the counters, Sephora, and shiseido.com. Savage looks amazing. I haven't bit the bullet on purchasing these yet but I feel like I'll need to soon! I'm in special need of a Shiseido lippy! RD203 "Portrait" looks lovely! I must try these Lacquer Rouge!